555 Mission Street, a soaring all-glass office tower, sits at the heart of a rapidly expanding corridor in a dynamic area of San Francisco. The design goal for the top floor of this impressive new office building was not to create an atmosphere of opulence but rather to provide a quiet, unpretentious image for the business that would be occupying the approximately 15,000 square feet of space. 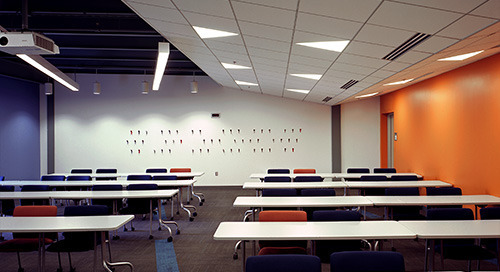 Needing to expand, Walsh College officials wanted an environmentally friendly and LEED certified addition. Opening in January 2008, it increased the size of the campus nearly 50 percent. 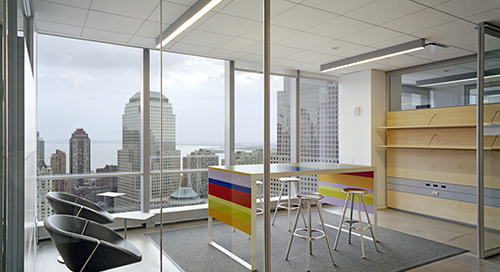 Custom lighting solves needs of Mansueto Ventures when they decided to move to their new headquarters in the newly constructed 7 World Trade Center building.